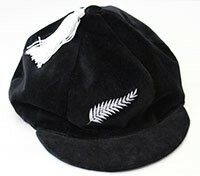 Applications are now open for a MAGS Sports Black Cap. – You must have represented New Zealand between the 1st October, 2017 and the 24th October, 2018. Please note that that the programme will be printed on the 14th October and this is the last date for embroidery, so any performances after the 14th October will still be celebrated at the sports dinner but the student name will not appear in the programme and your black cap will not be embroidered until after the dinner. – You must have played in a game/sport. – Non-playing or paper teams do not count. – You must be a current MAGS student when you competed in the event. A formal photo of all Black Cap recipients will be taken at School on Wednesday, 24 October, 2018 at 1.30pm in the School Hall. The Black Cap will be presented at the Sports Dinner on Wednesday, 24 October, 2018 at Alexandra Park from 6pm.